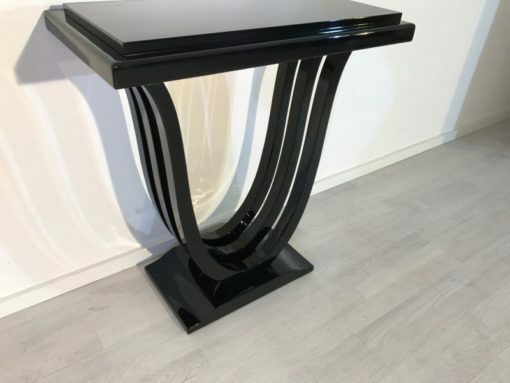 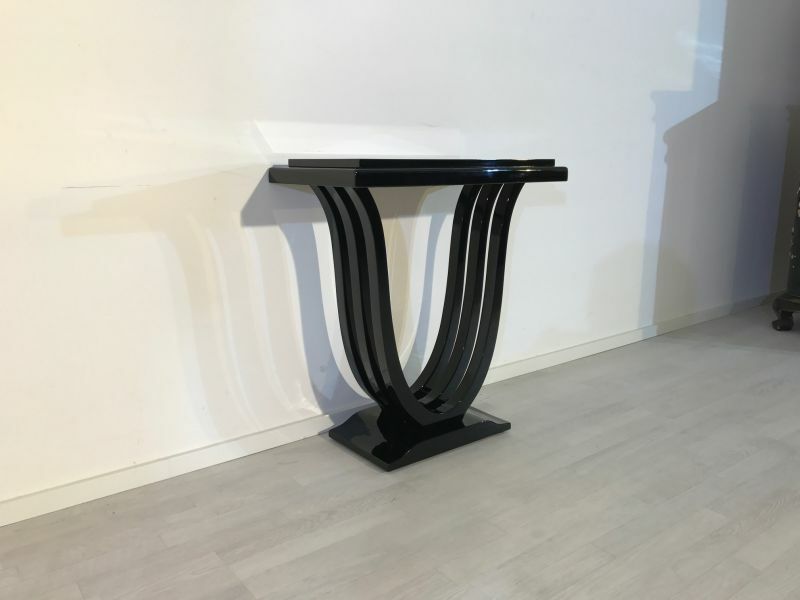 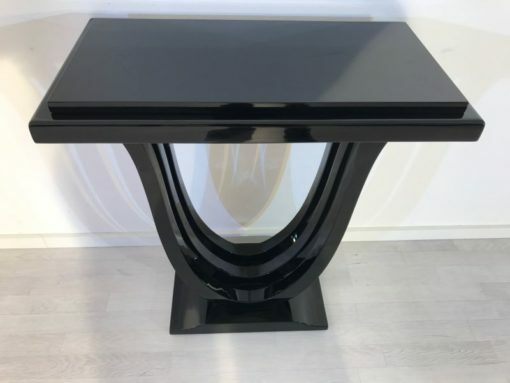 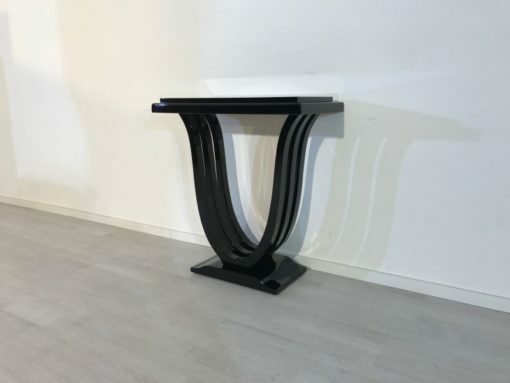 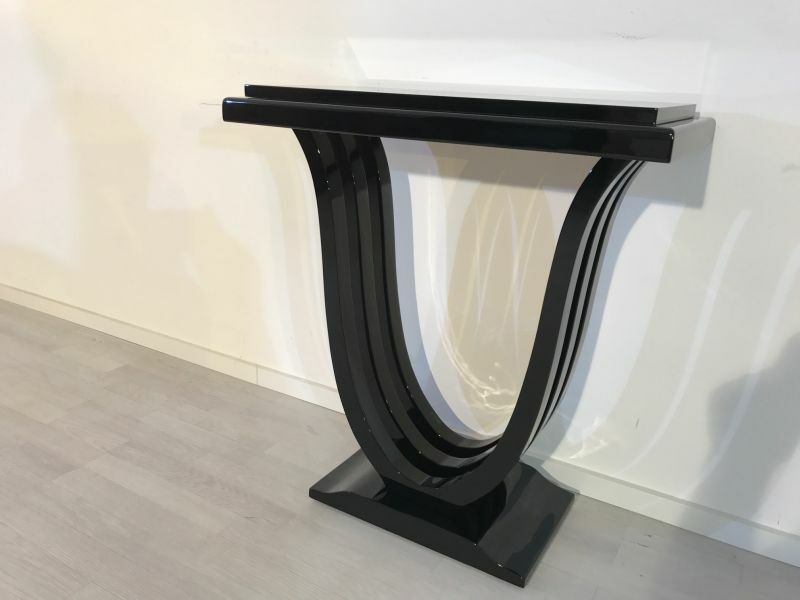 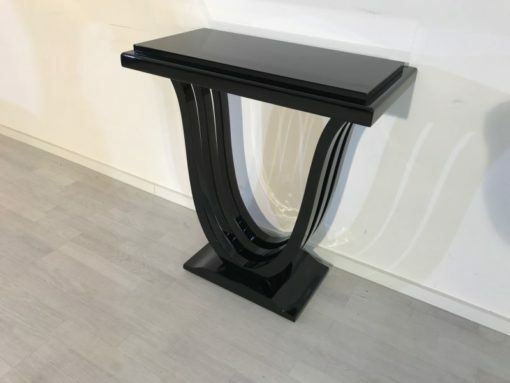 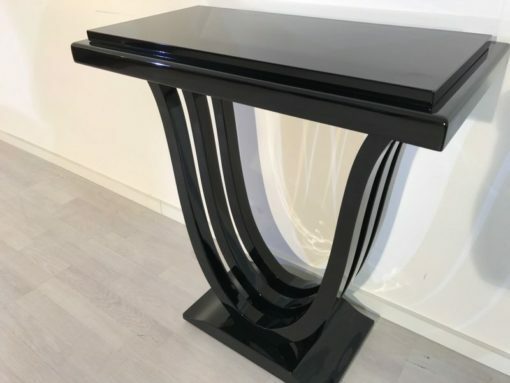 Beautiful console table with an Art Deco design and finished with high gloss black piano lacquer. 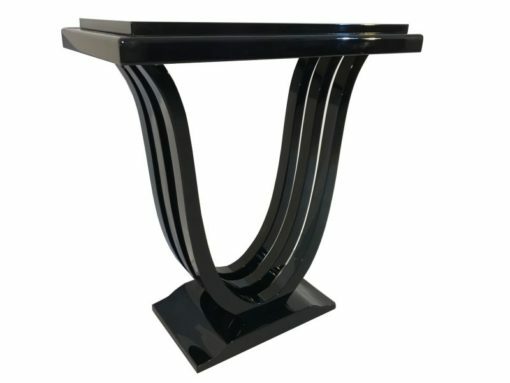 This piece offers a typical curved foot and a simple but elegant design. 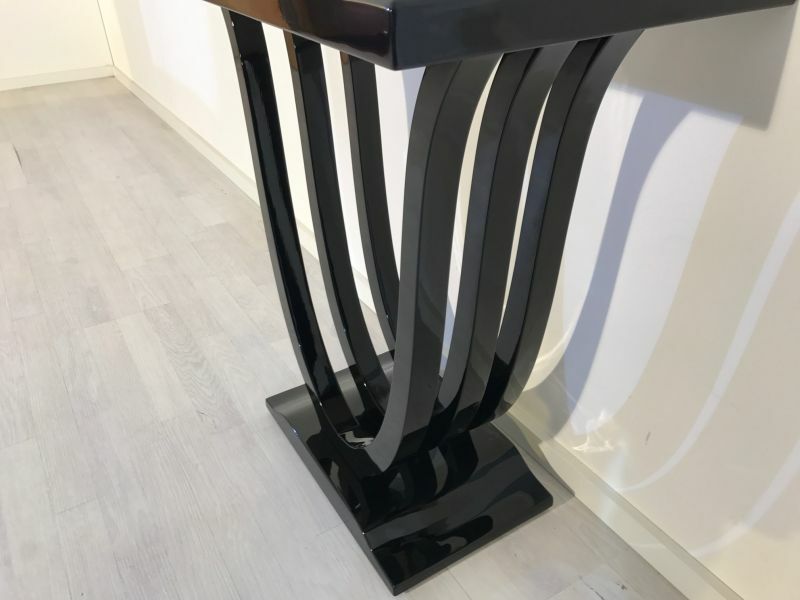 The surface was hand polished and the whole piece of furniture was produced in our manufactory in Germany.